You are here: Home / Candid Photographs / Marry Me? This was an interesting photoshoot! Aaron and Kristi are from Iowa, but we met in Omaha, Nebraska, to take pictures. I am from Nebraska, but have never lived in Omaha, so finding a location was an adventure. Thanks to friends of mine and friends of Kristi’s we had some great suggestions! 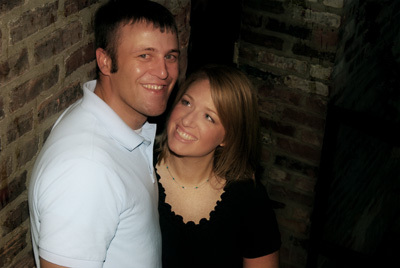 We photographed at Heartland of America Park and in downtown’s Old Market. Congratulations Aaron and Kristi! I had a great time exploring downtown Omaha with you and hanging out for the evening. I cannot wait to spend your wedding day with you!